Perfect from birth travel system with a compatible car seat (adapters required, sold separately) or a City Tour Lux bassinet (sold separately). Baby can face you or explore the world with the easy-to-reverse seat. The multiposition recline includes a flat position for tuckered out tots. Folds ultra-compactly with just one hand, and stands on its own when folded. Stroll in style with 5 different riding options. 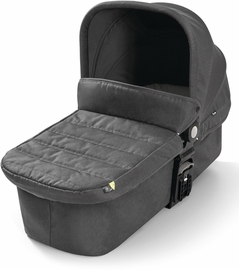 The city tour LUX now accepts on infant car seat or bassinet to accommodate children from birth and has reversible seating to be rear facing or forward facing. Pair it with the glider board (sold separately) to make it a double! New foldable bassinet accessory (sold separately) folds with the stroller to make traveling with your infant easier than ever! Features an auto-lock when folded, allowing you to fold and go quickly. I bought this stroller because I already have baby jogger city elite jogging stroller and some attachments. I was between the uppababy minu and this one, the city tour lux is heavier but my decision to get it was the seat remove capability and attachments. I already have the bassinet, car seat attachment and the glider, the only thing I can use is the glider with this stroller. It is stupid that I would need to purchase all new accessories when I already have all this baby jogger accessories that will fit the city elite, the summit and the gts. It only won't work on the city tour lux, it is not very budget friendly or space friendly that I would need to purchase all new accessories. I have had this nearly one year and want to love it. The size and foldability is great. I like this brand, the color is nice and the bassinet was small, buy did the trick when dealing with an infant. However, it's a pain when they get beyond 4 months old. The seat is narrow, and the hood will not stay put no matter what I try! The straps keep slipping out when I try to buckle so adds some frustration to getting baby all settled in. I do appreciate how foldable it is but it clunks along the pavement, making for not a comfortable ride outside of sleek airports floors. The pram folds nicely, the stroller is compact when open and when folded. The seat's canopy is bad, it doesn't stay open and keeps folding back as you walk. I sold my original city tour to purchase this one, and I like the original better. This stroller feels slightly flimsy, it doesn't fold completely shut, and the straps are difficult to snap together. I have owned SEVERAL baby jogger strollers, and this one has been my least favorite. My ten month old son has mainly used the stroller caddy for his infant seat so far, but we have used our City Tour Lux a few times for longer outings. I love absolutely everything about it except for the sunshade. It's pretty much impossible to keep up if the stroller is reclined which is fine for indoor outings, but not so much when you are outside. I may try to see if there is anything I can do to remedy it. We also have the City Mini GT which I think will be getting more use. I'm from Brazil. We're walking with the stroller but the capony does not fix. All the time is falling. so i read the reviewed regarding the hood of the stroller and was sure that baby jogger would have perfected it. but no! it is every bit annoying as ppl write. the carriage itself if beautiful and well made, though it is hard to actually push that 40 pounder in it even if they fit the weight requirements. the material is nice and the basket is really large. but yes the hood is a major issue it flaps down and looks like it is broken even when open, it is way too flimsy and doesn't end up looking at all like the pictures. which is a shame, personally i would prefer if the carriage weighed 1 pound more and the hood was of better quality. This baby stroller is really very light. My newborn baby has been used for a month. It seems to be OK. I also purchased an exclusive l sleeping basket. 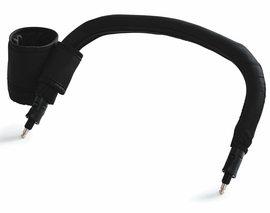 The accessories are also very easy to replace. It's really good. I was looking for a small easy to travel stroller that could attach with my city go car. The stroller is light easy to fold and I love it! I would definitely recommend. Great compact stroller! It also works well with the glider board. But i find the handle bar is bit low. I already have the city select double stroller and i loved it but barely used it. I wanted a small compact stroller for everyday use and After all my research i decided to buy this stroller, I did buy it when it first came out so there was not many reviews. The pros about this is a reversible seat and the storage basket have plenty of space. There is a full recline which was a major reason why I purchased it Also i can attach the city select glider on it for my toddler. It strolls over any terrain pretty well, a little more complicated over grassy area but that is a given. The cons is too over whelming that i could not love it. The folding and opening is so much work! If i have the baby in my arms it is such a hassle to get this stroller to open because it requires so many steps and it is not light enough to just pop it open. Having carpal tunnel from pregnancies makes this such a struggle and I am just so disappointed i am stuck with this as an every day stroller now. The sunshade always seem to fall back and does not stay put! I an constantly pulling the shade back in place to keep the sun out of the baby's face. When the seat is in upright position i feel my baby keeps slouching it look uncomfortable. It comes with a storage bag and I do think it does fold into a very compact size but it is hard to push the chair flat all other accessories comes seperately . 1. The canopy sunshade doesn't stay locked in place while fully extended. 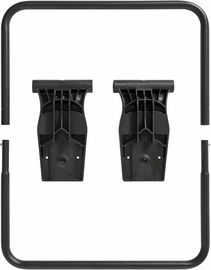 The locking mechanism is very sensitive and unlatches easily due to bumps in the road or there is too much tension on the canopy when extended. It would also be nice is there were detents at multiple positions on the canopy instead of only at full extension. 2. Rear wheel falls off easily if the front wheels catch the unlocking mechanism, if I hadn't notice the clang of the wheel hitting the ground then I would have been left with a three wheeled unusable stroller during the middle of the day. 3. While the stroller can freely stand when folded up, it easily falls over, could be better balanced. 4. Shoulder strap is a good idea, but it is slight short and the strap , especially the shoulder pad could be more substantial. 5. The rubber grips on the handlebar aren't the most comfortable, a bit hard and the texture can use some improvement. Also the grip will twist in your hand. Overall it is a good system, but need some improvement to be a 5 star product. Canopy did not stay open. Constantly fell and had to manually open it up over and over again during the first and ONLY weekend we used it. We stopped using it all together. I would definitely not recommend this stroller. The concept of this stroller is amazing. I love the idea of the light weight reversible seat, the large basket for a travel stroller, the hand brake rather than foot break, the giant canopy, and adjustable harness that enables a 5 point or 3 point harness depending on the size and preference of the child. I love the idea of the belly bar. The low star rating is because this stroller is only good in theory. The basket is good. It's sturdy and deep and easy to access. Easier to access when the child is parent facing. I also love the zipper pocket. No complaints here. The handbrake is INCREDIBLY stiff. I have actually panicked a couple of times when I couldn't unlock the wheels, because the only unlocking is done via a button, rather than a lever. You need to have a very strong thumb! Great concept, awful in practice. Also, my child can reach the lever when parent facing, and randomly lock the wheels while we're strolling. Would have been better to put it out of reach of a child, maybe? The canopy is large, but flimsy and looks like it just got rescued from the jaws of a trash compactor. It also falls backwards towards the seat, as the seat reclines. It only really works when the seat is upright, since gravity holds it down, unfortunately gravity pulls it in the opposite direction and your child who is laying flat, and probably trying to sleep, gets blasted with bright sunlight unexpectedly. I have pushed the stroller with my stomach while holding the canopy taut over his body. Not a good look. The harness is very finicky. The one on my stroller has one side that snaps in quite nicely, and the other side doesn't snap at all, meaning I have to hold the top portion of the shoulder strap in the groove of the waist strap while inserting it into the buckle. My child loves riding in the stroller so we don't have too many issues with him squirming, but it takes the same finesse as putting on a necklace clasp, you have to line it up just so, otherwise it all crumbles in your hand and you have to find the pieces to click together again. 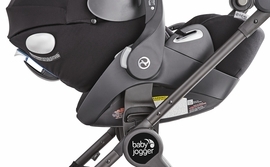 I know baby jogger can do better, the clasp on the GT is amazing, they know how to make this concept work, so why cheap out on this new concept? The belly bar is only useful when the child is sitting upright. If you recline the seat, the belly bar hits the child at the knees, sometimes literally. I have to remove the belly bar when my child is sleeping, hold the canopy over his body, and push with one hand. This stroller does not have good one handed maneuverability at ALL. It feels very heavy. My child is barely 25 lbs, I really don't know how a 45 lb child can ride in this if this is how it feels now. I am so disappointed! I was really excited to buy this stroller when it came out. I loved the idea of having my child face me and the compactness of it folding up since I travel a lot by myself with my little one. Cons - whether the stroller seat is up or down, the canopy is constantly falling down no matter what I am constantly having to pull it back up to cover my little one. The front wheels keep locking on their own which makes it difficult to steer the stroller and I have to constantly unlock them. The stroller is difficult to unfold, it always takes me multiple attempts to get it unfolded and snapped into place. Over all this is a great stroller, but would definitely recommend for those three items to be fixed. I was so excited to get this stroller after intensive research on the best compact strollers. Unfortunately, I had to return the first one because the handle grips were not secure, and like many other reviewers, the canopy kept falling down. Under the warranty, babyjogger sent me a new stroller. We have the exact same issues. The canopy does click into place, but immediately unclicks and the canopy flops down. If so many people are reporting this problem, why isn't it being fixed? Especially at this price point, the "lux" stroller should feel luxurious, not cheap. I am going to have to return the stroller because it is not fit for purpose. I am incredibly disappointed. Love the options but the sunshade!!!! I bought this stroller mainly because I loved how it's compact AND that the seat can face forwards or back. It's not the lightest but it doesn't take up very much room which is great. the straps are very comfortable for my baby girl and it seems very comfortable. I do find it a bit difficult to open the stroller but it's manageable. The most disappointing thing is the stupid sun shade. when my child is reclined all the way back the shade keeps falling and I have to keep putting it back into place every few seconds in order to ensure my baby won't wake up. It is literally infuriating. PLEASE MAKE A FIX FOR THIS. There are things I like and dislike about this stroller. The look, how compact it gets, how far it reclines, and that it can rear and forwards face are among the best features for me. The cons are that it isn't really that lightweight, it doesn't come with enough accessories (and that the baby jogger accessories aren't universal across the brand), and the canopy slips down all the time which is super annoying!!! Also my 3 month old baby doesn't seem particularly comfortable on it, my husband said he looks like he's laying on a platter when it's flat and the canopy has slipped down. Once I got a good grip of the opening and folding down of this stroller, I can say it is the perfect one! I was looking to buy the mamas and papas armadillo flip, but for the price point it was selling for compared to the baby jogger I would say it's definitely not worth it! Highly recommend! The stroller is ok.I was debating between the babyzen yoyo6+and the city tour lux and ended up buying city tour. It is heavier than yoyo but more stable and safer. I love long canopy and reversible seat. I have a Uppababy vista, but bought LUX because Uppababy is too heavy. Hand break is bit difficult to use, but overall a good stroller. Great stroller but horrible traveling bag! I love everything about the stroller, well made, lightweight, and extra cushion for baby. I'm so disappointed about the carrying bag. It ripped while traveling the first time with the stroller. I wish it was more durable. I bought this stroller hearing good reviews but when I put my 1yr. old in she is not comfortable sitting down. its too flat and the baby doesn't sink. It's good that it lay flat that my baby can sleep from car seat to stroller. I like it that its super compact that it fits into my tiny trunk. its a little heavy for compact stroller and I always have problem unfolding it. I'll probably use this stroller when my baby its a little bigger. could use some tweaks but overall good. I'm really glad I got this stroller. I was used to a maclaren quest, but now with three kids having the single handle bar is much easier as I can push single handed and grab my older two with the other one if I need to. I had been using a hand me down city mini which I didn't dislike but I found really big compared to what I was used to. I also feel that in this stroller my kid can see more. In the city mini she would just kind of sit there, but whenever she's in the tour lux she's looking around and chatting at everyone. Pros are that it has a foot rest - kids never look comfortable asleep to me when their feet are down. 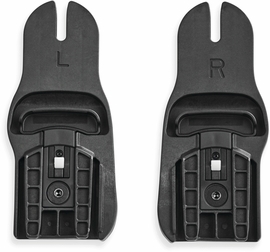 Changeable seat configurations, while still lightweight. Decent size basket. Cons - the canopy is a bit floppy at the front, and there's no integrated pocket large enough to hold the raincover (although that's common to many strollers). Please get the cup holder made for it soon! I have a universal one on it but it doesn't hold that well. We love everything about this stroller. It's solid baby higher quality, so don't let the weight deter you, that means it's durable! The basket is huge and accessible, the canopy is very generous and the hand brake is so convenient. I love the reversible seat, and flexible foot rest. Our 17m, 3y4m and 7y fit just fine in it and it's not smaller for any of these girls. They are 18lbs, 26lbs and 41lbs, so the oldest is on the higher end. The fold is so compact and can't be beat! It's super easy to fold and unfold, which I was initially scared of the 2 step fold. I recommend it to everyone! I love everything about this stroller EXCEPT! The sun shade! I'm so disappointed. Since the stroller has no sides the only way to obtain this is via the sun shade, however, it constantly falls down. I mean constantly! I'm always pulling it back it up. I also live in FL so the sun shade is imporatant to provid shad for the baby. It's never taught and tight. The sun shade should have a Detent system in place to fix this issue and this should be done ASAP!!!!!!! I love this stroller but the sun shade collapsing is a huge isaue for me and i may need to return the stroller because of it. When I received the stroller from weeSpring, the first thing that came to mind was how compact the package looked (unlike my other two strollers). The assembly of the stroller was easy breezy. I really liked the design. It was really easy to change the seat so that my baby can be facing me or facing outward. It is also sleek and tight. I was able to squeeze between three people on the same road. Wonderful control. I can easily maneuver with one hand, even one finger! Love this characteristic! My baby seemed quite comfortable during his ride. There was times when he was sliding down a bit but my baby is a rambunctious one and I swear he is Houdini reincarnated. Therefore, not deducting any points for this. The only problem for me is collapsing the stroller. It is a bit cumbersome. But only deducting half a point as I believe it is me and not really the stroller. I want to give is a 4.5 starts but that wasn't an option here. Thank you weeSpring for this amazing stroller! I thought I would love this stroller. It was difficult to assemble. The break is hard to push and when taking it off it requires pressure from both hands. When I was trying to open it it pinched my fingers. I sold my city select and got this stroller. I love it. I would love if there was a snack tray available as an accessory though. When I was pregnant, I bought a "full-size" stroller for my little one- comes with a bassinet, seat, cup holder, is really sturdy and the most important part: pretty. During the first few months when we didn't really go out as much, it was nice to push our little girl around the block, or if we knew we would be out for a long time, we'd bring it in the car with us. However, as she got bigger, it started to become impractical to carry the stroller with us. It would take a team of two to lug both her and the stroller downstairs (we live in an upstairs apartment) and anytime we needed to load or unload was just a nightmare. We were in the market for a more compact stroller that could still handle everyday life and wasn't an eyesore. 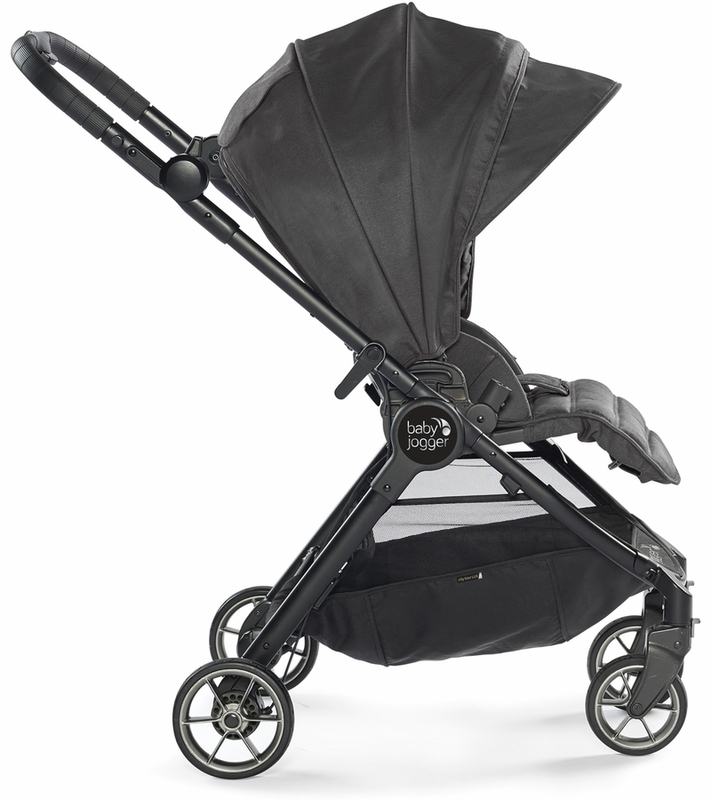 The Baby Jogger City Tour Lux was just what we were looking for!! 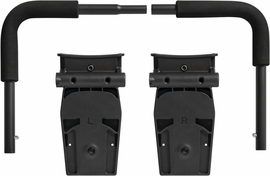 It's extremely simple to use, even just with the assembly. It took me less than five minutes from opening the box to having a brand new stroller! The seat is incredible- my little one's long legs don't hang off awkwardly and instead she's extremely comfortable. Usually she can only handle about 30 minutes before she starts wanting out, but yesterday we were able to stroll around for an hour before it was me who wanted to go back home. Folding and unfolding is a dream! I'm able to hold my little one and easily fold it into such a compact size! My other stroller takes up almost all of our coat closet and that's folded to the maximum. The City Tour Lux folds so compact, it even comes with a travel bag that you can wear as a backpack. My husband is absolutely hooked, because that means he can help out with the stroller and still help out with the other kids as well. Last, the design is incredible. So many "on-the-go" strollers lack any design, but this stroller is so sleek and modern. The fabric is incredible, and looks like it belongs on one of those designer strollers. We went shopping and were able to fit all of our purchases in the HUGE storage underneath. Plus, the openings are wide enough so you're not trying to awkwardly stuff your belongings in every time. The straps have so many adjustable positions, I can tell this will last us a really long time (mama needs a break from carrying around 26 pounds all the time!) My husband and I are already so excited to bring this stroller with us when we take the kiddos to a theme park for Spring Break and then take a plane trip in June. Thank you to the weeSpring Parent Panel for sending me this product to test out-- you've really helped out our family so much! Super light, small, & portable stroller! I used this stroller with my young toddler (20 months), and found it to be a really great ultralight/portable option for getting around the city & for packing up in the car for trips! I think the most obvious plus of this stroller is how portable it is without sacrificing any typical stroller features - the seat is nice & padded with good reclining options & a great shade, there's plenty of room in the bottom for the diaper bag and a few groceries picked up on the go, and the stroller is easy to push on bumpy city sidewalks and seems like a smooth ride for my kiddo. My favorite feature is just how light it is - it's so easy to pick up & carry with one hand, which is great for stairs (to get out of our house & around town). I also love how you can easily flip the seat from facing forward to facing backwards, and I think this feature would be even greater with younger babies, who enjoy looking at their parents (my toddler now prefers seeing where we're headed). You can also stuff a LOT in the basket under the seat - I stashed a big blanket for the park, our diaper bag, some extra snacks, a water bottle for myself, a couple of toys, and my coat under there without a problem, and have also used the basket to carry some groceries for the next few days. I think the only downside I noticed was that the stroller did get stuck once when there was a gap between the sidewalk & street while I was pushing. Totally normal for a stroller with this size wheels, though - only a jogging stroller would have made it without getting stuck. Turning around and pulling the stroller got us over the hump without a problem. I received this product for free from the weeSpring Parent Panel, but I'll be purchasing an infant car seat adapter and the glider board (and maybe the infant pram) out of my own pocket to keep using this awesome stroller once my next baby is born. Definitely recommended for parents living in small places in the city where you need a small portable stroller, or anyone who has to navigate stairs with a stroller regularly! Initially: I would highly recommend relocating the instructions in packing. They were attached to the seat and it took a bit to figure out to unfold the stroller without access to the instructions. I have a 9 month old, a 2.5 year old, and a 4.5 year old. This is a great stroller to keep in the car because it packs so flat and is quite versatile. My younger kiddos both seemed to enjoy a comfortable ride. I would get the belly bar/cup holder for use with older children to allow easier in and out without buckling each time (such as at a zoo). There's also ample space for an older child to fit on the optional roller board between the seat and handlebar. My youngest loved facing me when it was just the 2 of us. *Bag included for protected storage and travel- has backpack straps! Thanks to the weeSpring Parent Panel for providing me with this�‚ stroller to try out! Thanks to the weeSpring Parent Panel for the opportunity to try the new Baby Jogger City Tour Lux. I absolutely loved how compact and light this stroller was, while still feeling very sturdy. It is the perfect size to have out around town, but also folds up nicely to fit in my small trunk or the back of a cab. The seat is easily adjustable and gives you a forward and backward facing option, which my little one loves. The only downside is that the four wheels catch a bit more than my city mini jogger with three wheels, but not so much that I would not buy the product. I highly recommend this as a great option for anyone living in an urban environment. Versatile, and smooth as butter. I was given this stroller to try as part of the weeSpring Parent Panel. I have used a couple of different strollers over the years for my kids, but never really felt like I should splurge on one. 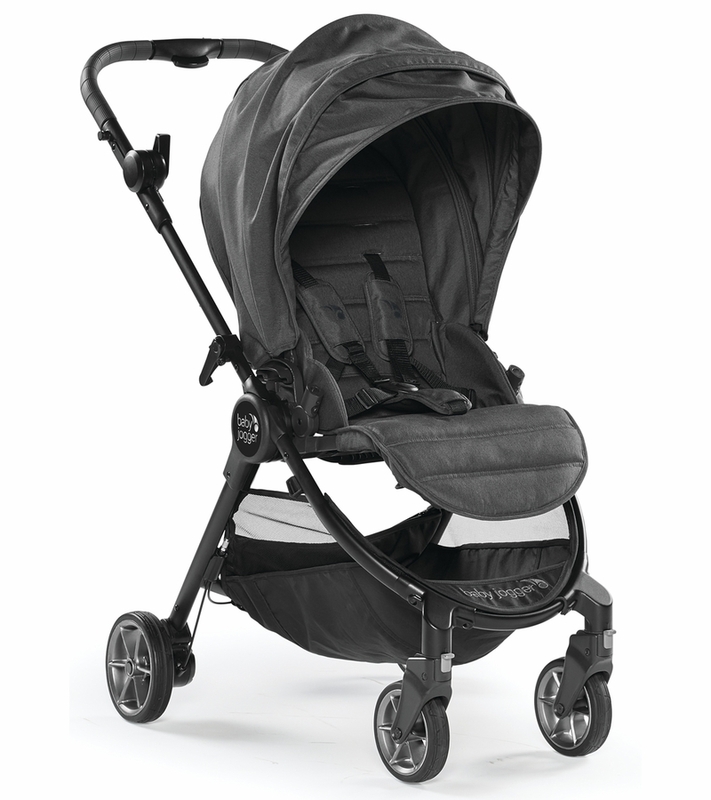 After receiving and trying out the Baby Jogger City Tour Lux, I now realize why people do splurge. A stroller like this one is well worth it. It is sleek, modern, and rides very, very well. This stroller has such a smooth ride -- it glides and turns better than my other strollers (and I have a jogger). It is SO adaptable. Assembly is a breeze (just pop the wheels on). The seat is easily adjustable, and the stroller is super versatile. I love the fact that you can make the seat front- or rear-facing. And it's as easy as turning the seat around with the pop of a handle --- there is no disassembly or hard-to-remember steps. There are tons of accessories that make it even more versatile (e.g., a stand on rider that attaches to the back, for an older sibling, perhaps). I will likely invest in one of these if we take any vacations that require walking. My kids (10 months and 3) definitely enjoyed riding in it. With some strollers, the seat doesn't sit up straight enough, so my kid is in a semi-reclined position, which they don't always like. Not an issue with this stroller, as the back is fully adjustable. The stroller folds up very well (and is easy to fold). It is easy to carry, too. I could see why some might think it's a little heavy, but I thought it was reasonable and manageable. Well worth the trade off for how compact it is when it folds. Pros: comfortable for lots of travel on slightly uneven ground and for small spaces (apartment, bus, subway). It's really compact (becomes the size of a large backpack almost 2' x 2' x 1' and fits in included bag) and light (19.4 pounds) but folds out to be a medium-sized stroller! An average-sized woman, my wife has finally found a substantial, sturdy stroller she can handle, but we haven't managed the one-handed fold. I'm 6'2'' tall, and it's comfortable for me. I like how easily it folds; I easily store it in the trunk of my car and still have space. This stroller has nice luxury features: a hand brake, storage underneath with a small zippered compartment, a canopy window which closes with magnets (and not loud velcro), and an almost full recline for older baby with a flat leg rest if desired. It's compatible with an infant car seat and has a variety of seating arrangements beginning from birth with a foldable carrycot/bassinet and/or adding a standing board for a older kid (if you purchase these accessories). I put it together from the box in a few minutes; I snapped in the wheels and pushed the light gray buttons on my dark gray ("Granite") model and it unfolded and refolded. In drizzle, my toddler's face stayed dry with the extra expanding canopy. Word to the wise, while the suspension is good for a simple sidewalk, I don't think this is a jogging stroller; it's a lightweight touring stroller. 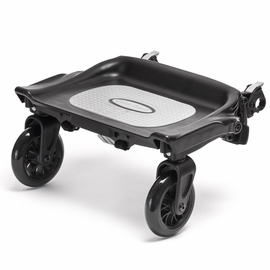 I tested this at an outlet mall on textured concrete poured to look like natural stone and the stroller bumped constantly, but I didn't have to slow my pace like I would with a stroller without suspension. Cons: you may want to gate check it and not use it as a carryon on the airplane, there is no foot rest (kids with feet long enough may be able to put their feet on the storage bin), and there is no baby belly bar or cup holders included (they are accessories for purchase). I think my 34 inch tall toddler looked large but comfortable on the stroller. In all, I think this is a great everyday stroller -- maybe the only stroller someone would ever need. Thanks weeSpring Parent Panel for this gift! I was given this stroller to try as part of the weeSpring Parent Panel. There are so many pluses to list! The stroller was relatively easy to assemble, but the picture instructions were kind of hard to understand. The stroller itself is really light and compact when folded. The fabric and frame look and feel "Lux". The basket beneath is very generous sized with a zipper pocket for the carry bag, which would be amazing for airport and travel! The The handle is very comfortable to push, and the ride is seriously smooth. I have a 19 month old, but I would have been very comfortable using this stroller with him as a newborn since it has such great suspension (and I love that you have the option to use a bassinet!). The folding mechanism is very easy to use after the first couple of tries. Turning the seat is easy and the sun shade comes down much further than our other stroller. I love that it has a hand controlled brake because I have hurt my foot countless times while trying to brake our other stroller in my sandals. My son has no qualms about riding in this stroller, but I must admit that at 19 months old, I feel like he only has a couple of inches to grow before he is too big to ride in it, so I do not feel it would last to 45 lbs. His feet hang off of the edges, so when he is facing outward, I am afraid to push him through tight spaces and get his feet hung on a door frame, person, etc. I do wish it came with a parent cup holder or a snack tray. Overall though, I love how portable this stroller is and I think it is a great option for both trips and every day use. My favorite part about the stroller is the ability for my child to face me or face out and it's pretty easy to change positions--just lift the seat and turn it around. The stroller is lightweight, compact, and easy to maneuver. I like that the sunshade has a UV canopy. It's also very easy to adjust the recline of the seat which is nice. I'm glad it has the option for an infant seat and a glider board. Overall, my daughter has enjoyed our walks in the new stroller! Now for the negatives. First of all, the instructions are terrible. I'm sure it's simple enough to assemble and learn to use, but the fact that there are pictures only and NO words was incredibly frustrating. I figured out steps 1-20 correctly (I think?) but gave up from there because I wasn't even sure what the pictures were trying to tell me. Assemble? Fold up? Change positions? Lock? No clue. I'm sure I'll eventually figure it all out on my own but just a few key words here and there would have been extremely beneficial. I haven't completely figured out the hand brake or folding and unfolding so I'm not sure if better instructions would help or if they aren't designed very well. A few other things..my 20 month old is very petite and her head was hitting the canopy when the seat was fully upright, so I can't imagine how an older toddler or child would sit in that position. It's a little awkward to put my toddler in the seat when facing me, I've been lifting her over the handle and in but it's awkward. Also, the sides are flat so that if she is holding anything with her (a stuffed animal, snack, or drink for example) it will easily fall out of the sides of the stroller. The harness breaks down into 5 pieces which is also frustrating when they come apart, I'm not sure why it couldn't just be one piece on each side that clips into the middle. I'm not sure if there's a cup holder/pouch that can be attached but that would be nice too. I really wish this had the ability to turn into a double stroller, since I have another baby on the way. Thanks to the weeSpring Parent Panel for providing me with this product. I'm sure we will get much use out of it as I continue to figure it out. It rides great and is clean and simple. I was given this stroller to try as part of the weeSpring Parent Panel. This stroller was fairly easy to assemble as I did it on my own without very much guidance from the instruction booklet (only pictures, no words). I do love the compact design and that it came with a carrying case for travel, though it's not necessary for normal use. The carrying case can easily be worn on your back thanks to the backpack style straps, or can be carried by the handle on top. 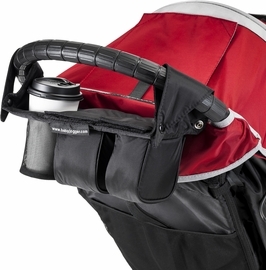 The stroller itself is easy to handle when folded up and also has a nice strap for carrying while folded. I found folding and unfolding to be inconvenient.. it's a process that involves more steps than I'd consider to be convenient for most parents. The hand break could be a nice feature but it wasn't user friendly either and I had to use both hands to push in the button and push the break down. It seemed harder than it was meant to be, which was unfortunate because it could be great to have that right by the handle. Maybe it will loosen over time but my initial thought was that I'd just prefer a foot break. When taking my average-sized 1.5 year old for a ride, he seemed a bit too big for it and looked uncomfortable. His head was touching the sun visor and his legs were in an awkward position, as the leg part doesn't lock straight down but instead kind of angles out even when you don't have it locked in the flat position. Even though he seemed big in it, it handled very well. It was easy to steer and I love the front swivel wheels and how easy it is to turn. The sunshade is really nice and very large and I liked that the window was magnetic instead of Velcro. 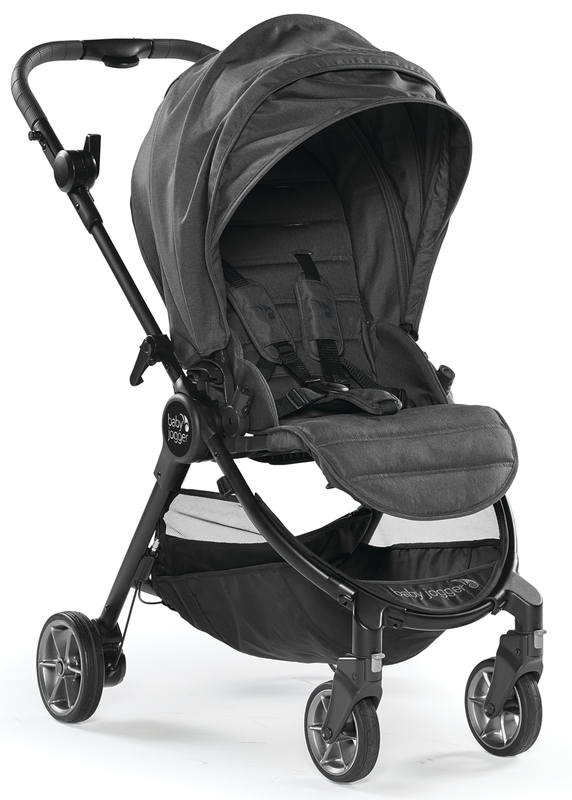 The forward and rear-facing options are nice and one of the best features of the stroller. The basket under is well-sized for a small stroller. It was easy to get my bag in and out of, especially when the seat was forward-facing. The seat reclines really far back and the leg area can be locked so it extends the seat for more comfort when laying back. The harness is another trouble area, as the top part slides out from the bottom pretty easily, leaving you with four harness parts to buckle into the crotch area, which is frustrating and not great when you have a wiggly little one. It would be nice if it came with a cup holder or a place for a cell phone but I'm sure those add-ons can be purchased. Overall I didn't find anything extraordinary about the stroller, but I look forward to getting more use out of it with my new baby this Summer. I was SO excited to receive this as part of a weespring parent panel! My 17 month old was excited to climb right in & seems really comfortable in it. The design is great, materials are Lux, rolls & turns like a dream. The canopy is AMAZINGLY large with convenient viewing flap, recline is a necessary addition. Basket underneath is really big for a smaller stroller. Cons - the hand brake is difficult to engage & even worse to release - maybe it would get easier with use?? When popping the front wheels up to go up a curb, the handle didn't feel as sturdy under the weight of my 28lb baby as I'd like. And while he seems incredibly comfortable & has no complaints, his legs tend to hang off the sides of the leg rest area because of the curve of the seat. It folds up really easily & has a convenient carry handle, yet the unfold isn't quite as graceful ... After all that - I'd definitely recommend it. It's a great compromise if you can only buy 1 stroller. Thanks to the weeSpring Parent Panel for providing me with this stroller. Right out of the box the design looked elegant, however I wish the instruction manual had a little more direction. Overall, it was easy to figure out (since I'm familiar with Baby Jogger from our City Mini GT). I love the ability to face the stroller towards or away from me. It was easy to fold up and love the compact profile and carrying strap, which made carrying the stroller up one flight of stairs at home much easier than any other stroller we have. The recline feature and folding leg rest were great for our 7.5 month old. 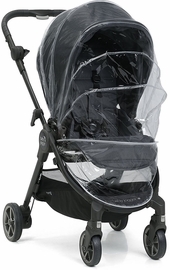 The canopy had the extensive coverage I appreciate from Baby Jogger. I was able to use our accessories from our other Baby Jogger with no compatibility issues, which was great. The biggest downsides were the scratch fabric and the nonadjustable handle, which was way too tall for me and not comfortable for my 6 foot husband either. I'm not sure how easy the stroller would be to wipe clean if needed. Also, I don't know how the material would do in rain. Our baby fell right asleep (as he often does on walks), so he seemed to like it. The 5 point harness was easy to adjust and secure. Overall, it was a great product. With a few tweaks, it could be excellent! In spite of this, we were already talking about taking this on our next vacation!! We were happy to try this stroller as part of the week spring parent panel. Pros - folds super easy, is compact and lightweight. Super large canopy which will be helpful for summertime. I appreciate the little zipper pouch in the basket to help organize smaller objects. Strolls very easy but would recommend having the front wheel swivel on otherwise it doesn't turn well. I liked the way the seat adjusts to face outward as well as inward. I had a different stroller where the seat reclined to be forward or outward and it compromised the space in the basket. The seat on the baby jogger fully removes to be turned which didn't compromise the basket. Cons - The design of where I'm assuming the bumper bar should attach looks like something is missing. At this price point, I feel like the bumper bar should have been included. There are no cup holders which I know aren't usually included in lightweight strollers but I still find it annoying. The handle bar has a rubber grip which isn't super comfortable after a while. The basket is on the smaller side and doesn't fit my large diaper bag but I'm also an over packer. Unfolding is going to take some getting used to just because it isn't super smooth, but in contrast, it's super easy to fold up. Compact, Lightweight, & Practical Stroller! There were a couple of things about this stroller that I felt could be improved. I like that the brake has been relocated to the handlebar instead of a foot brake, but I found it to be a bit "sticky" and hard to release with one hand. Hopefully this improves with additional use over time. I also felt that although the seat of this stroller is deeper and more comfortable for my toddler than the City Tour, it is still a pretty small seat, so there is no extra room for storage of snacks, drink, etc next to him in the seat. For the price point of this stroller it would be nice if a snack tray or cup holder was included. Finally, it would be nice if this stroller were compatible with the common accessories/attachments for other Baby Jogger strollers so that I could use the same accessories for the two different strollers and not need to purchase separate accessories for this stroller. The seat connection is completely different than the City Select and the cup holder and snack tray attachments are also different than the City Select. Overall this a great compact stroller with many features that make it comparable to larger full size strollers and we are really enjoying using it! 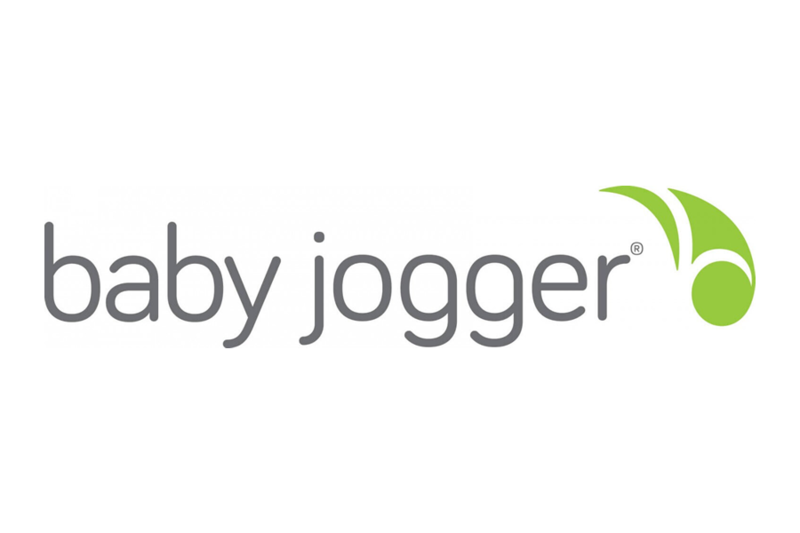 The quality of the materials is excellent which is in line with what I have come to expect from the Baby Jogger brand. This will definiely be our new go to stroller for most of our outings! Thank you so much to the weeSpring Parent Panel for providing us with this stroller! 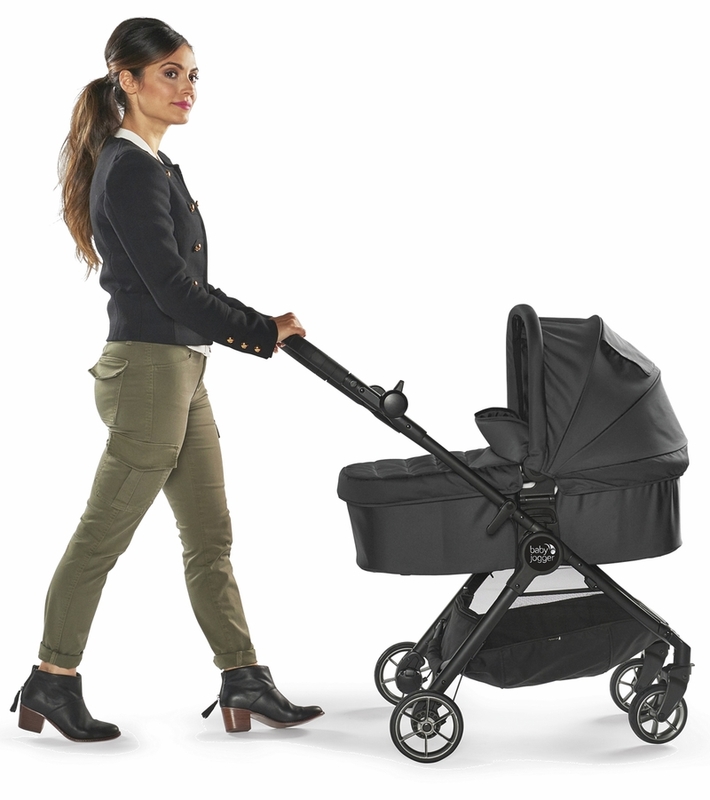 The Baby Jogger City Tour Lux is a sleek, easily modifiable, lightweight stroller that can accommodate many parents' needs. Once we actually found the instructions, which strangely were buried deep in the midst of the folded-up stroller that we were unsure of how to unfold, putting on the wheels and canopy was a breeze. The design is really nice. It is quite streamlined and is very smooth and comfortable to push. Baby was excited to ride in it and was very comfortable as well. My husband and I really like that the braking system does not require manipulation of the wheels but instead has a lever for a handbrake. However, there is a lot of resistance on that lever and I found it difficult to push into the braking position. Hopefully with time and use this will get easier. All of the pieces that interconnect to close the five-point harness, which fits baby very well and is easy to adjust, are really intricate and small; they have to be slid together really carefully. They work great but we hope they are resilient with regular use because we are nervous that they could break if we are not always very careful. We LOVE that there is a breathable, viewable "flap" on top of the stroller canopy (which is generously large and has UV protection!). It makes it easy to check on baby and a simple but important bonus is that it has a magnetic closure, so no cheap Velcro to worry about! The reversible nature of the seat, so baby can either face out or face the person pushing the stroller, is awesome and super easy to do - this is our favorite feature and definitely one we will use, and would have used frequently when baby was in his infancy. Folding the stroller is easy and definitely can be done one-handed, but only by caregivers who are right-handed. Lefties will need two hands to do it because of where the buttons on the handle are positioned. 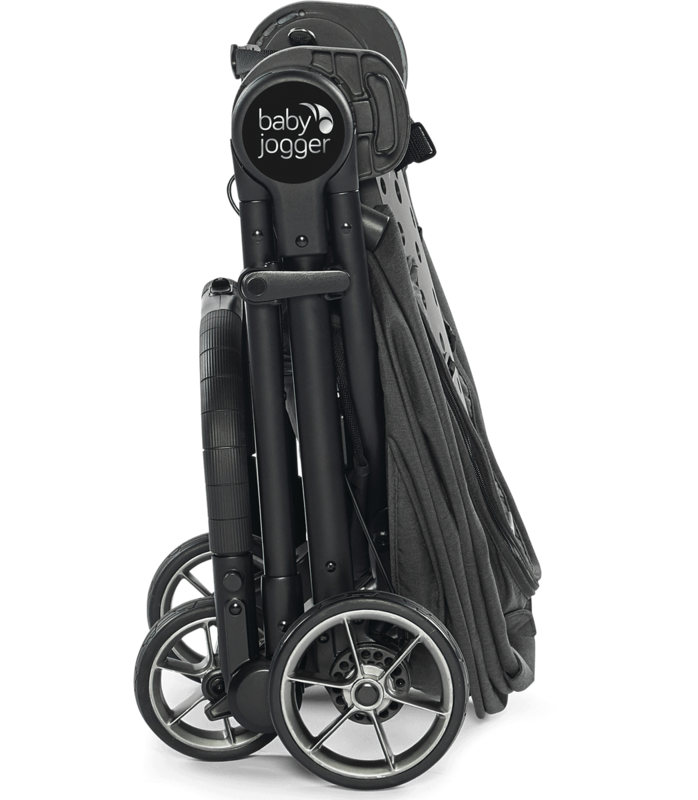 Carrying the stroller is easy and convenient for short jaunts, and the carry bag is a nice bonus for longer ones. I appreciate that it folds up so small and stands up when folded, which minimizes the space it takes up in my entryway. Thank you to the weeSpring Parent Panel for providing us with this stroller! I really like this stroller. It was really made with parents and convenience in mind. I found it simple to build from the box and greatly designed. My absolute favorite thing about this stroller is that it can be rear facing. My baby really likes to see me and doesn't last long in any stroller that's forward facing so this is a great feature! The handlebar is at a good height so I can stand upright and push it comfortably. It steers great, literally gliding and swiveling, which is perfect when in crowded situations. 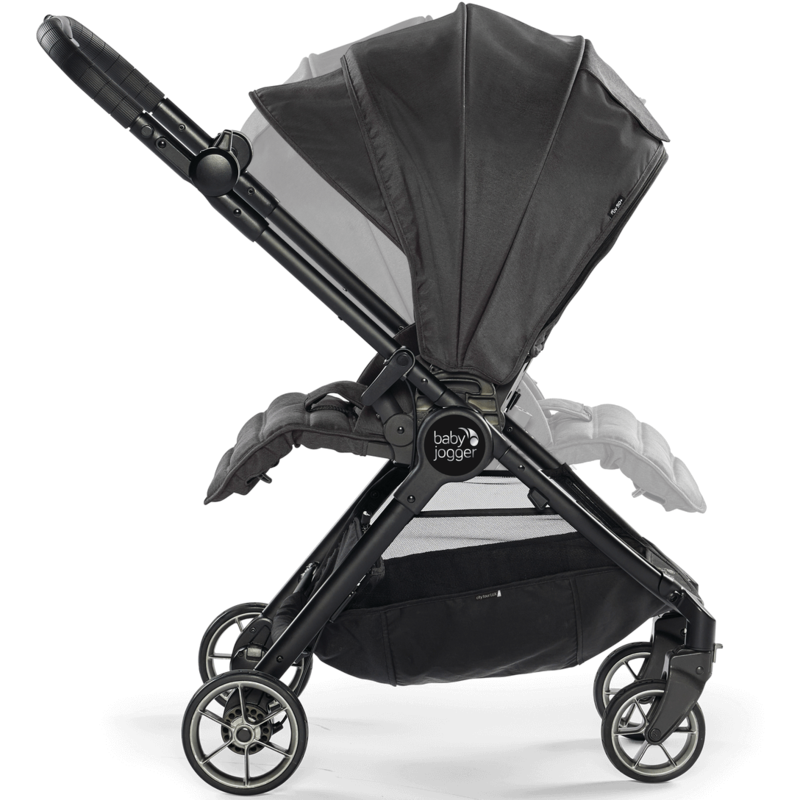 The fabric used for the stroller and the sunshade seems durable and of high-quality, although the seat itself could use more cushioning. I like that the seat reclines almost to fully flat, that the seat grows with your child and that the sunshade fully covers the baby. There isn't a place for a child to rest their feet, which would be a nice option as my son gets older, but doesn't seem to be an issue now. 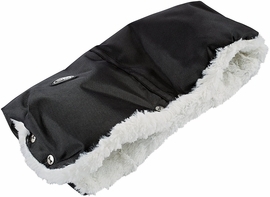 It is lightweight and opens and folds easily with one hand. The basket storage is decently sized, fitting the diaper bag in it easily and even has a zippered section near the front which could come in handy for keeping something small you don't want to lose or containing something you don't want to have in plain sight. The only feature missing is a cup holder, which is available for purchase, but at this price point, really should come standard. Overall, this is an exceptional stroller that meets me and my baby's needs and is built to last. I am very thankful that the weeSpring Parent Panel allowed me to test and review this stroller. We have tried 3 types of strollers for baby girl: 1 infant travel system that worked with car seat, and 2 baby joggers. With each stroller the most important features for us are ease of folding and unfolding, versatility, smoothness of the ride, and comfort for baby girl. weeSpring Parent Panel gave us the opportunity to try out the City Tour Lux Baby Jogger and it met our expectations on many levels, with some extras. The first thing we noticed is that this stroller requires a pretty intricate set-up (come with pictures) that are not necessarily very easy to follow. However, once set up the everyday use is very easy and practical. 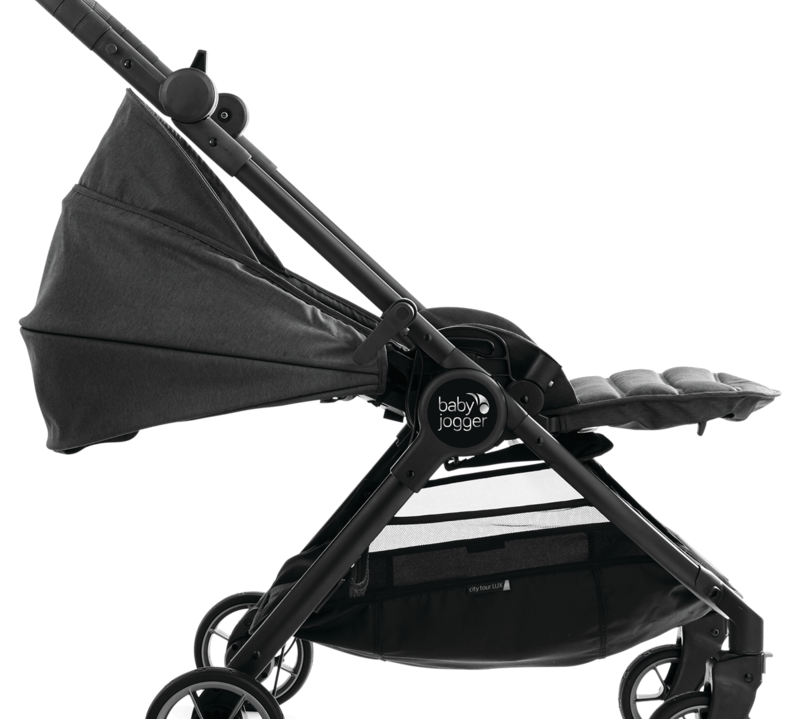 Secondly, the City Tour Lux Baby Jogger is extremely light-weight, which makes it feel a bit flimsy, but once in use we found it to be quite sturdy. The wheels on this stroller are not very large, which makes handling rough terrain (bumps in the road, debris, etc.) a bit difficult. On smooth ground the ride is absolutely wonderful! Our favorite feature of this stroller is its one-handed folding. The button the collapses the stroller takes some getting used to, as you have to slide a tab while simultaneously pushing a button underneath; but once you master that the folding is really quite simple. The stroller collapses completely upon pulling up on the seat handle. Note: the seat must be in front-facing position to fold. We also love the versatility of this stroller and that changing baby girl from front-facing to rear facing is really easy, you can manually lift the seat and turn it around then click it back into the stroller base. Another aspect that I really appreciate is the hand brake, no foot pedals or stubbed toes, the hand brake engages with a switch and is released with a button. The seat reclines with a one-handed push of a button, the leg rest can be reclined with a two-handed push of two buttons underneath, and it comes with a magnetic viewing flap that allows me to check on a sleeping babe. Awesome! While the front wheels have the option of locking into place with a button on each wheel that can be pushed down into place, we found that the stroller rode best when the front wheels were free. This stroller folds like a dream and is the most compact and light-weight of any stroller we have tried, making it perfect for our on-the-go lifestyle. It's really nice when we don't feel like we are packing up the entire house to take a day trip, the City Tour Lux Baby Jogger definitely lightens the load. Also, the additions that can be purchased for this stroller make it quite versatile and useful for many years (infant pram, glider, snack tray) and we look forward to adding them to our collection. Thank you weeSpring Parent Panel for giving us the opportunity to try the City Tour Lux Baby Jogger; we love it! If you're short on time and just scrolling through reviews here's my summary: if you're looking for an all around daily commuter that has many of the features of high dollar strollers without the heafty price tag you MUST check out the City Tour Lux. Fantastic stroller with so many well thought out features it must have been designed by moms. Somewhat of a stroller snob (I currently own five and have tried several more that got cut) I love comparing my favorite baby accessory: the stroller. The first thing I noticed about the City Tour Lux was the quality. A sturdy frame and chic fabric that also feels like it will withstand being cleaned. The stroller was very simple to put together. There really are so many things to love about this stroller. Design is sleek and is easy to push with one hand (a must in my book) The shape of the handle along with a hand instead of foot break makes this stroller comfortable to push for taller people like my husband. A major plus is the one handed fold. It took a time or two to get it but now gone are the flustered days of awkwardly holding baby while fussing with stroller. The compact fold has already come in handy for us in smaller spaces like restaurants where we could put it out of the way in a snap. A great design detail is that when folded there is a strap to carry over your shoulder and another short strap if you'd rather carry it in your hand. See why I say a mom must have designed this?! The fact that a carry bag is included is a nice bonus and comes with the option to carry in hand or wear as a backpack. I'll be honest, this stroller isn't light enough to make me want to backpack carry it for very long but so nice to have a hands free option when needed. Living in a very sunny place I love that the sunshade comes down lower than many other strollers. Another nice detail is that the peekaboo flap on top has a magnet to keep it open if you wish. My baby is already 16 months old but this would have been a perfect stoller to have from the get go. I love having baby face me instead of out during the young months and the City Tour Lux offers rear and forward facing. Seat lays flat for naps, sits up nice and straight and the foot rest can go straight or folded. The basket is a good size but not huge. Haven't tried any of the fun accessories but love that they're an option. So glad to have received this stroller to try from the weeSpring Parent Panel. Do yourself a favor and give it a try! This stroller is a great alternative to the little umbrella stroller I always used in the past for quick outings to the mall and park. My 1 year old and 3 year old love this stroller and all the options that go along with it are great! 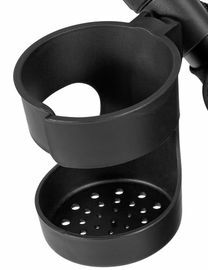 It folds up easily and is very compact. My favorite part about this stroller is the backpack carrying bag for it. It is so convenient for me since I am a mother of 3 and always have my hands full. I love having a nice but lightweight stroller for on the go. It is easy to push and I would definitely recommend it to any parent. Thanks to the weeSpring Parent Panel for providing me with this stroller! 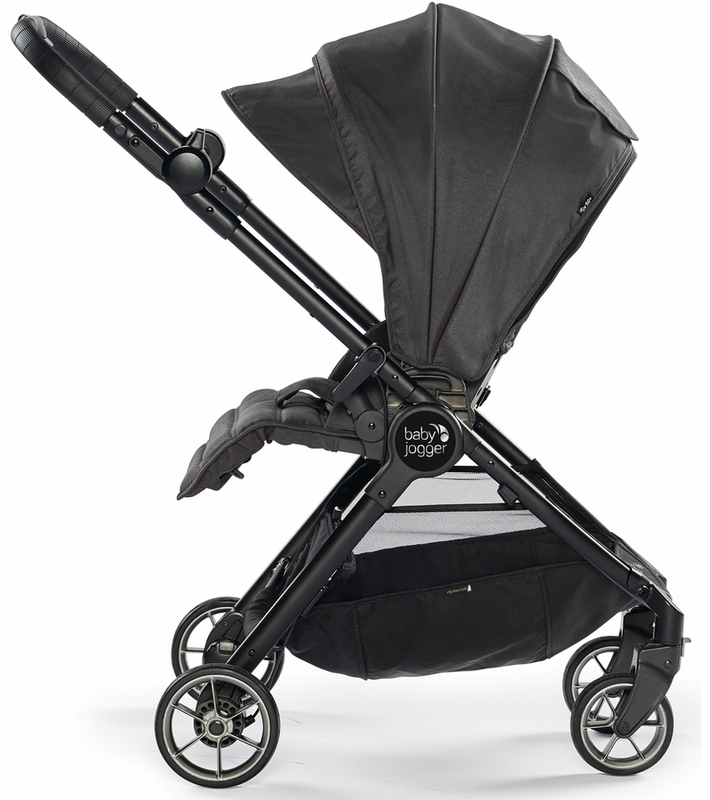 I have really enjoyed our jogger city tour lux stroller. Some of the things I like best are how easy it is to set up and fold down. It is light weight and really easy to lift into the trunk when I want to take it somewhere. It also adjusts easily from sitting up to laying flat for when my babe falls asleep. The shade on it is great and almost completely covers my little guy from the sun. I find I really like using it for strolling inside because on bumpy and uneven sidewalks it can be difficult to push. The seat doesn't really have any support on the sides so I've noticed when my son drops toys or his sippy cup they easily just fall to the ground. If you want a stroller that you can bring all over with you this is a great choice. Also being only 14lbs it will be allowed on airplanes for many airlines so also an excellent choice for those who travel frequently. Thanks so much to the weeSpring Parent Panel for providing me with this product! The City Tour LUX stroller is an amazing stroller. I was given this product to try as part of the weeSpring Parent Panel and I was blown away by how compact the stroller is. With minimal effort it folds down for easy storage. I loved that it came with a case to protect it when traveling. Not only that, but the case has straps so you can wear it like a backpack. I was a bit concerned that it would be too heavy to carry on our backs. Both my husband and I tried it on though and it was surprisingly manageable. Another thing that I loved about the stroller was the two straps that it has in the folded up position to allow you to carry easily in your hand or over your shoulder. I travel a lot so these two easy carry options were a big plus for me. My favorite part about this stroller was that it has all the great features of the clunkier strollers without taking up so much room. It has a huge storage bin below and a bar across so that I can put my mommy hook on and store all of my bags. I was a little disappointed that it didn't come with a bar across. They have an option to purchase the cup holder piece separately but it's not included in the purchase of the stroller. I also really liked that the stroller has a sun canopy. This is really important for my son to have in the summer when walking around outside. I loved that the stroller lays all the way back. Sometimes we are out and about during nap time and having this stroller with us was amazing. My son was able to lay back and take his nap. It rides really smoothly which is great for taking walks. Another one of my favorite features is that it can face both ways. When my son was younger, I liked to be able to see him so I was able to face him toward me. Now that he's a little older he loves to look around so I face him the other way. I like that the buckle is easy to use and safe. Although I didn't purchase the other pieces, I like that it has the option to purchase the car seat and bassinet which would snap right into the bottom part. Not only does the stroller have a nice design but my son enjoys riding in the stroller as well. I would definitely recommend this stroller. Lightweight and folds down nicely! When I first registered for a stroller, I thought getting one of those giant, heavy jogging strollers would be perfect but it is actually more of a pain then anything. 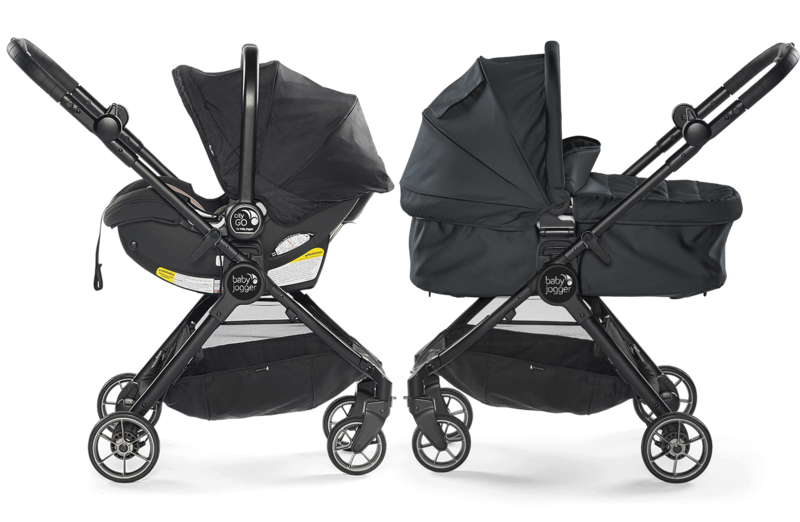 The Baby Jogger City Tour Lux is super lightweight, can fold down really nicely and has the ability to grow with your family. I love that you can choose to have the seat forward facing or facing you! I love that you can fold it down really nicely AND tuck it away in a nice back-pack carrying case. 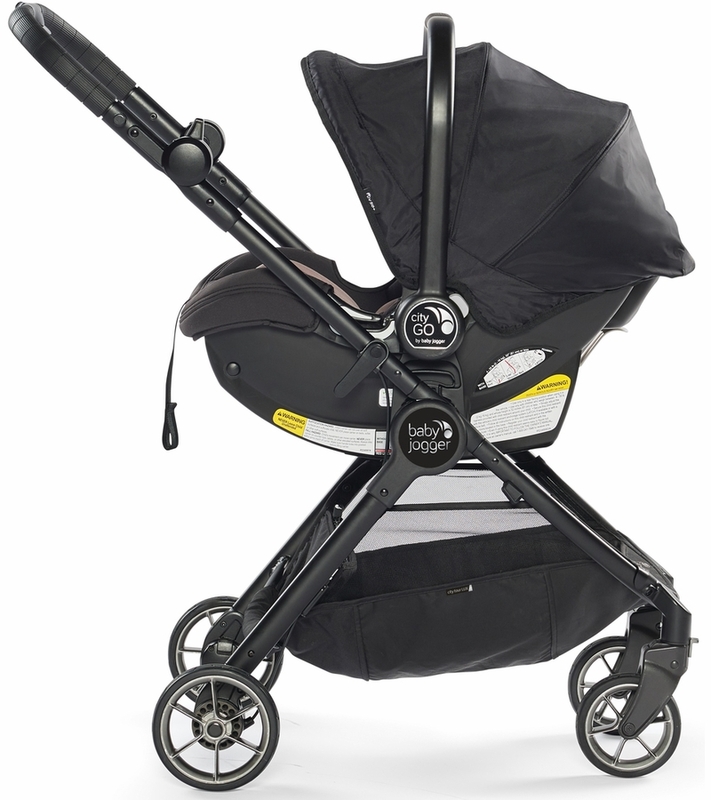 Thanks, weeSpring Parent Panel for providing me with the Baby Jogger City Tour Lux because it will be perfect for my little one!